Last Saturday, after HoagieNation, my wife and I had the opportunity to meet the legendary Daryl Hall. We were the only people that met him after the show, aside from his family, so I’m extremely grateful for the opportunity, and he was a pleasure to speak with. I shook Daryl’s hand, introduced him to Stephanie, reminded him of the cover story on Hall & Oates by me that was just published the other week in The Aquarian Weekly, and asked him to autograph it for me. Daryl said, “That was a really good piece you wrote” and gladly signed the cover for me. David Uosikkinen, best known as the drummer for The Hooters, is bringing amazing musicians together through his In The Pocket project. They will be performing on Friday, May 25 at The Fillmore Philadelphia, as part of the HoagieNation “Exclusive Pre-Party and Culinary Celebration.” David was kind enough to take the time to speak with me about his impressive career, what to expect at the HoagieNation pre-party and more. 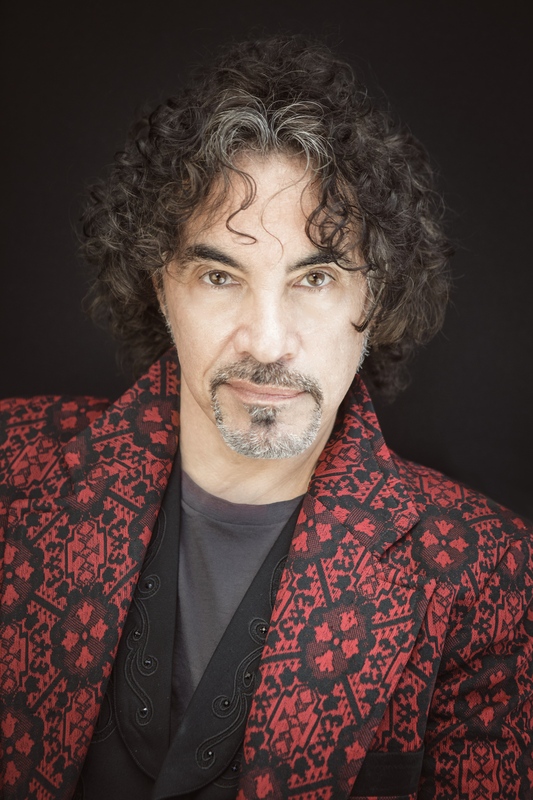 John Oates, one half of the most successful music duo of all time, Hall & Oates, just released a new solo album entitled Arkansas. According to Oates, “It’s like Dixieland, dipped in bluegrass, and salted with Delta blues.” Just a couple days after the Philadelphia Eagles won their first Super Bowl, this mustachioed master of music brought his new tunes to the City of Brotherly Love, delivering an impassioned performance that resulted in the majority of the crowd buying copies of Arkansas. My to-read list is never ending. However, there are three books that are near the top of the list and I think you should check them out. Congratulations Journey! Today it was announced that the iconic rock band will be inducted into the Rock & Roll Hall of Fame in 2017. As a fan of the band and a friend of Neal Schon’s, I couldn’t be happier or more proud of them. In their heyday, Journey created fantastic music that the critics tore apart, despite the undying support of the fans. And the fans’ unwavering dedication to this classic rock band is what led to Journey being the top choice in the recent fan poll conducted by the Rock & Roll Hall of Fame for who should be inducted in 2017. This is a testament to the staying power of Journey’s music and its ability to resonate with millions of people worldwide. 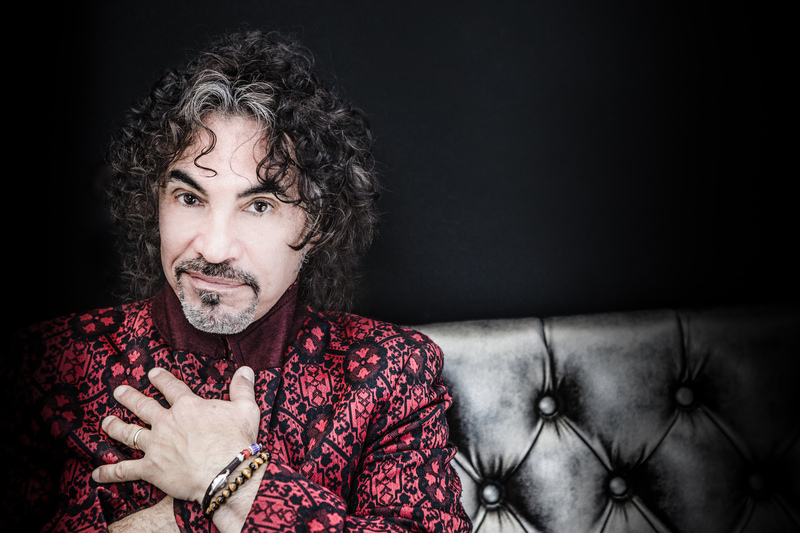 I recently had the opportunity to interview the incredibly talented John Oates, one half of the 2014 Rock & Roll Hall of Fame inductees Hall & Oates. 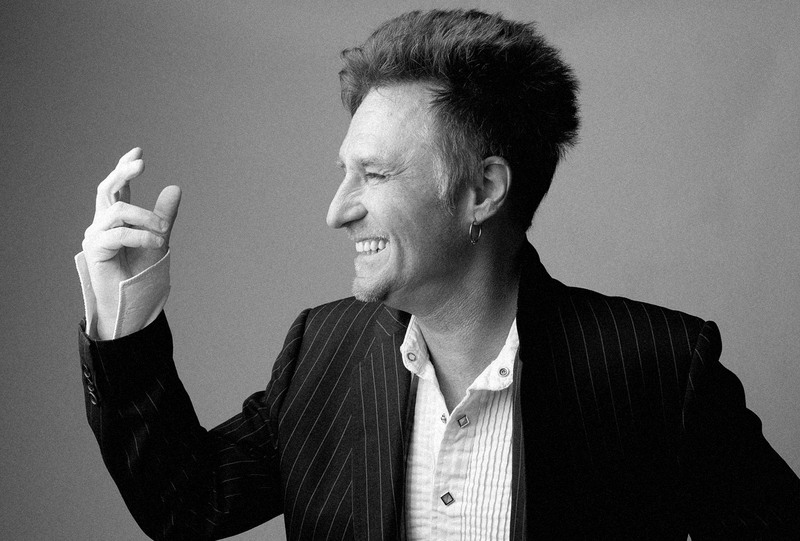 In addition to having a stellar career with Daryl Hall, John has created a strong catalog of music as a solo artist. On March 18th, he’s releasing three five-track EPs – Route 1, Route 2 and Route 3 – as part of his latest music project entitled Good Road to Follow. 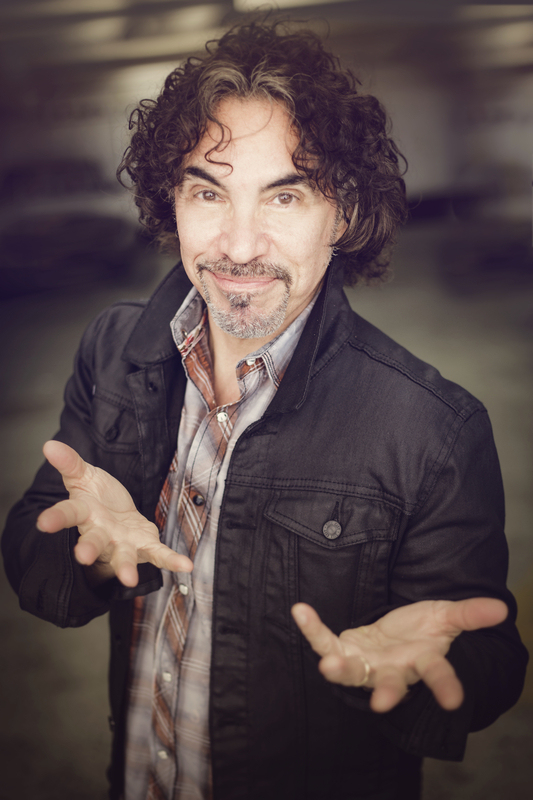 You can learn more about this on the official John Oates website. Below is my interview with John and two behind-the-scenes videos about Good Road to Follow. Enjoy! Congratulations on being a 2014 Rock & Roll Hall of Fame inductee. You and Daryl were first eligible for induction in 1997, yet you weren’t nominated until now. Hall & Oates came in as one of the top five acts that people wanted inducted in the official Rock & Roll Hall of Fame fan poll. How does it feel to receive this honor from both the public and your peers? To me it’s like a lifetime achievement award. I’m happy that the fans and public were finally allowed to vote and I’m sure that had a lot to do with us getting admitted. The 2014 Rock & Roll Hall of Fame inductee list is a diverse one. In addition to yourselves, there’s KISS, Nirvana and Peter Gabriel, just to name a few. Are you fans of these artists and are you looking forward to performing with them on stage at the end of the ceremony on April 10? I am honored to be part of this particular “class.” All of these artists have unique and qualified talent and all are deserving to be in the Hall of Fame. As to performing, I have no idea of what or who will be involved. Speaking of performances, I attended your concert at the Tower Theater in October 2013. As always, it was excellent, and you performed one of my favorite songs, “Las Vegas Turnaround” from the Abandoned Luncheonette album. You mentioned writing the song while sitting on the step of your apartment on Quince Street in Philadelphia, which is right around the corner from where I live. What was the inspiration for this song and how did it come together? I’ve always had a soft spot for many of the Hall & Oates tracks where you sang lead, especially “Mano a Mano,” “Possession Obsession” and “Keep on Pushin’ Love.” When working on an album together, how do you and Daryl decide who should handle the lead vocal? Some songs just work better for Daryl’s voice and his sound has become the trademark of our biggest hits, so when I wrote certain songs like “Maneater” or “Out of Touch” it seemed like the best thing to do was have him sing it. What is the songwriting process like for you? Do you sit down and say, “I’m going to write a song,” or does inspiration strike and you start taking notes? The rules are: “No rules.” Anything from the most mundane to the most profound can be the fuel for inspiration. The difference between songwriters and others is that songwriters are always somehow tuned into the world, situations, emotions, and experiences that other people may not be aware of. Then it’s down to the ability to articulate those things both musically and lyrically into a song that people can relate to and that touches their souls or makes them want to shake their booty, or maybe both. Whether it’s your work with Daryl Hall or your solo albums, you clearly have a diverse taste in music. Which albums or artists have influenced you the most over the years? I was lucky to be a kid at the birth of rock and roll, but I was also aware of the music that came before me, the big bands, jazz, etc. My first guitar and lyric hero was Chuck Berry. Elvis was well…Elvis. The traditional american folk and blues artists were very important to me as well: Mississippi John Hurt, Doc Watson, Blind Blake, Sonny Terry and Brownie McGhee, Jim and Jesse, as well as the newer folk interpreters like Dave Van Ronk and Joan Baez. My tastes extended to the historical performer like John Jacob Nile. Then 60s R&B was very important: Curtis Mayfield and The Impressions, The Stax/Volt recordings with Booker T and the MGs, Motown, and of course, East Coast doo-wop and Philly soul. Your first solo album, Phunk Shui, is a terrific collection of pop, rock and soul music. One of the songs on the album, “Love in a Dangerous Time,” was re-recorded for the Hall & Oates album Do It for Love. What’s the story behind this song and do you prefer one version over the other? I wrote that song with Arthur Baker and Tom Farragur. It was about a changing world as I saw it…AIDS, violence and turmoil. I prefer my solo version because the music is more ominous and less pop. You followed up Phunk Shui with 1,000 Miles of Life, a rock album with country undertones, and Mississippi Mile, a stripped-down bluesy affair. What inspires you to shift direction from album to album? I don’t see it as a shift. I see it as an evolution and the maturation of me as a solo artist. 1,000 Miles of Life was my first album that I recorded in Nashville and I wanted to take advantage of all the amazing musicians. Also, the songs were very introspective and I knew that their playing style and sensitivity to lyrics would bring out the best in these particular types of songs. Mississippi Mile was more of an “homage” to the music that I loved as a kid and re-working some of my old favorites into my personal style. That album was basically recorded live in the studio, also in Nashville. Your most recent musical endeavor is called Good Road to Follow. As part of this project, you released five musically diverse singles in 2013, and in 2014 you have a trilogy of EPs coming out. What should fans expect from the EPs? It will be released on March 18th as a package with three discs. Each disc has five songs assembled based on style as best I could. Since the project began as a series of singles there was no thought about flow and style. I just wrote the best songs I could with a wide variety of collaborators, both as writers and producers. The discs are entitled: Route 1, Route 2 and Route 3. What made you want to take this unique approach to releasing music? I have been moving beyond the concept of an album in the traditional sense. The world has accelerated and listeners’ desire to create personal playlists seems to be setting the standard. However, after hearing a bunch of my digital singles there was a lot of demand for an album, so I had to figure out a way to assemble all this diverse music. I did the best I could and all three EPs are the result. So far, my favorite song from Good Road to Follow is “High Maintenance.” It’s easily the best pop song I’ve heard in quite some time. With this single, as well as the others, you’ve collaborated with a variety of artists. What has it been like working with such a diverse group of musicians on this ambitious project? I am proud of all the songs on Good Road to Follow. It’s just different flavors. Everyone who worked on this project did it for the love of the music and I was blessed to be able to share this musical experience with all of them. In a way, I had to be kind of an artistic “traffic cop” since I was the only one who knew what the entire body of work sounded like. So, I had to be careful to keep the sonic landscape somewhat coherent but at the same time allow the people I was working with freedom to bring their own creativity to the project. It has been an amazing experience and I can’t wait for people to hear it.